Once “Designated”, the applicant, now deemed the “Seller”, is automatically protected under the applicable SAFETY Act provisions. The Seller has the option of listing their product, technology or service under “Designations for Homeland Security” on the SAFETY Act website. An exciting feature, although not the SAFETY Act’s intended purpose, is the significant marketing edge and higher demand that SAFETY Act approval creates for entities who provide products and services to others. The detailed SAFETY Act review and qualification process tells others that the approved anti-terrorism goods or services successfully passed the DHS’ stringent scrutiny and demonstrated the pr oven efficacy required. The real marketing advantage of SAFETY Act however is somewhat hidden. It stems from the SAFETY Act’s Final Rule or Regulation. This regulation states that SAFETY Act automatically grants complete immunity to your suppliers, vendors, distributors, customers or users if a Designated product, technology, software, facility, procedure or service fails to prevent or mitigate a terrorist attack. In today’s geo-political environment, demonstrating that the SAFETY Act affords customers total immunity from potentially catastrophic terrorism related liability is overwhelmingly compelling. Customer consideration of this “no-cost” immunity protection will likely outweigh many other issues and considerations aside from the day-to-day operational safety, efficiency and reliability. The SAFETY Act's regulations state that SAFETY Act automatically grants complete immunity to your customers or users if a Designated product, technology, software, facility, procedure or service somehow fails to prevent or mitigate a terrorist attack. 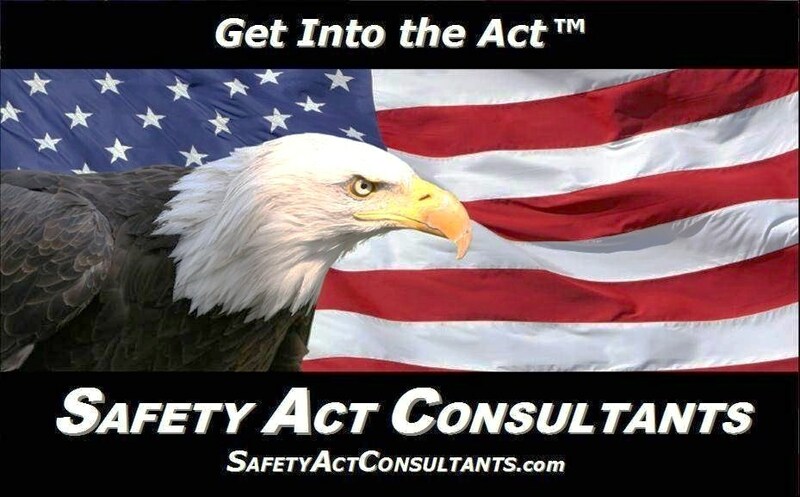 The SAFETY Act's regulations state that SAFETY Act automatically grants complete immunity to your vendors, and distributors if a Designated product, technology, software, facility, procedure or service somehow fails to prevent or mitigate a terrorist attack. You must fully understand the ramifications of SAFETY Act on your insurance, your insurer, you coverage and not jeopardize any of your protections provided under the SAFETY Act. We use detailed checklists and strategies that mitigate most of these issues to assure maximum protection and minimum cost under both the law and your insurance. We have various insurance positions and/or products we may advocate with the SAFETY Act. Each strategy would depend on your actual exposures, existing insurance program structure, insurance markets and types of coverage involved. No one product or program structure can, or could, resolve all our concerns nor is there a "one size fits all solution". We can substantially mitigate many of the risk management issues associated with SAFETY Act and save you money. Existing contractual liability and indemnification issues are a very important element of SAFETY Act best practices that must be addressed. Without reviewing these in advance, you could face surprises later. Procurements, FAR and Other Governmental Indemnity - Again, existing contractual liability and indemnification issues are a very important element of SAFETY Act best practices that must be addressed.